There was so much fail involved in Ray Rice’s press conference yesterday that it’s hard to know where to begin. Actually, let me rewind. For non sports fans, Ray Rice is a professional football player with the Baltimore Ravens. He was caught on film dragging his fiancée’s (now wife) unconscious body out of an elevator in February after (allegedly, because this hasn’t gone to trial) knocking her out. Inexplicably, Rice surfaced some three months after the incident to offer his apology. Not being a therapist, I had to do what (good) journalists do after hearing this part of the press conference. I asked my significant other (PhD student in counseling psychology) how difficult accountability is when the perpetrator can’t verbalize the infraction. The answer: Very difficult. Strike one, Ray. This is a prepared statement. Someone wrote it. Either Rice or the worst PR person in the country. He used a metaphor about being knocked down in a press conference apologizing for an incident in which he allegedly knocked his wife unconscious. Worst possible choice of words? Confirmed. Rice did himself no favors with this. Strike two, Ray. 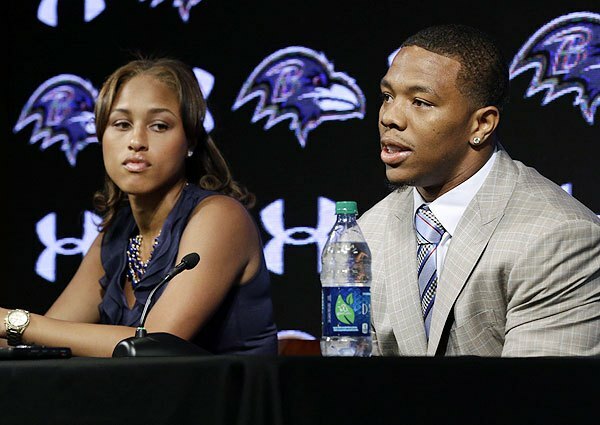 Janay Rice says she deeply regrets the role that she played the night of the incident. For what it’s worth, Rice’s wife was also charged in that incident (charges were later dropped). However, victims of violence, apologizing for their “role” in getting beat up is an abominable PR strategy. Why the Ravens chose to highlight this is duly puzzling. It’s also worth noting that not once did Rice apologize directly to his wife. I respect a request for privacy, but when you go public you take all the scrutiny that comes with going public in such a horrible fashion. This wasn’t a “situation,” nor was it an “incident.” You hit your wife and knocked her out. Say so. Don’t talk around what happened. Name it. Claim it. Apologizing to the fans/owner/team/random people was nice. Apologizing — publicly — to your victim is better. Clients need to do their due diligence to avoid crisis situations. But we, communicators also do our clients no favors by helping them walk over the cliff.